4-inch UV Cable Ties in Black (1000-Pack) A cable fastening device provides strong support for positioning cable and pipe bundles. The design of its head guarantees a high tensile strength while allowing a very low insertion force. Products are available in a wide range of materials and colors. 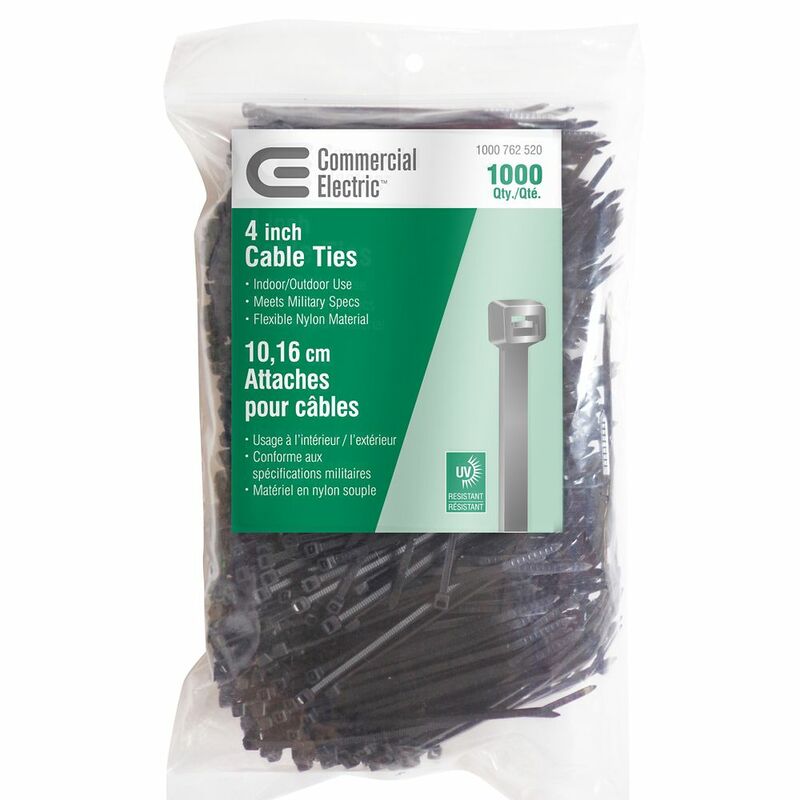 4-inch UV Cable Ties in Black (1000-Pack) is rated 4.2 out of 5 by 35. Rated 5 out of 5 by Emilio from Over one thousand uses!!... Over one thousand uses!! Rated 5 out of 5 by HomeDepotCustomer from Work great!... Work great! Rated 5 out of 5 by Johann from Exactly what I needed to complete my project!... Exactly what I needed to complete my project!